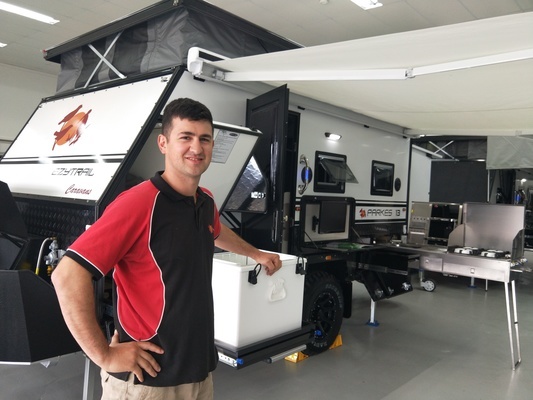 Camper trailers are a way of life for EZYTRAIL Campers Geelong general manager Jeremy Franciosa. Camper trailers are more than a business for Belmont’s Jeremy Franciosa – they’re a way of life. The EZYTRAIL Campers Geelong store manager regularly tests his own products exploring Australia with wife Tara and three-year-old son Oliver. “He loves it. It’s the perfect age, if you ask me,” he says. Jeremy’s travels help with his job, he says. And it’s a job Jeremy knows well, having recently taken over management of EZYTRAIL Campers Geelong after about a decade at the company’s Campbellfield showroom. 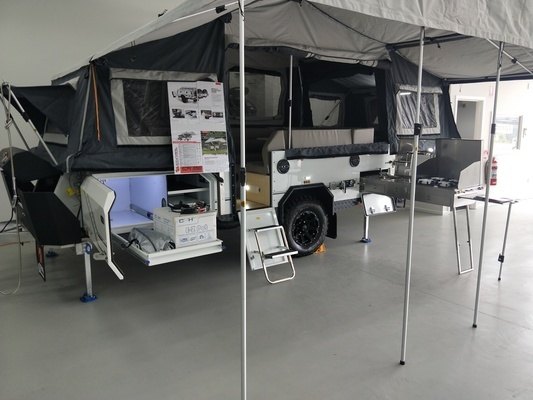 Jeremy can recommend the right camper trailer for anyone, from robust and easy-to-setup off-roaders, to hybrids that feature the comforts of a caravan. “Your adventure starts here,” he says. He also sells caravans and knows how to spruce up a trailer with fridges, freezers, solar panels and more. EZYTRAIL has more than a dozen stores Australia-wide and a national warranty on all products. The chain of stores makes finding parts and after sales support very straightforward. “Customers have got somewhere in Geelong to come back to if they ever need to ask for advice,“ Jeremy says. While quality control has improved dramatically for camper trailers, price remains competitive. “Not everyone can fork out $40,000 for a caravan,” Jeremy says. The North Geelong showroom has a ‘kids’ corner’ perfect for young families. “They can have a good browse around while we keep the kids busy,” Jeremy says. To find out more phone 5260 2900 or visit the North Geelong showroom, open 9am to 5pm, Monday to Friday, and 9am to 2pm on Saturday.